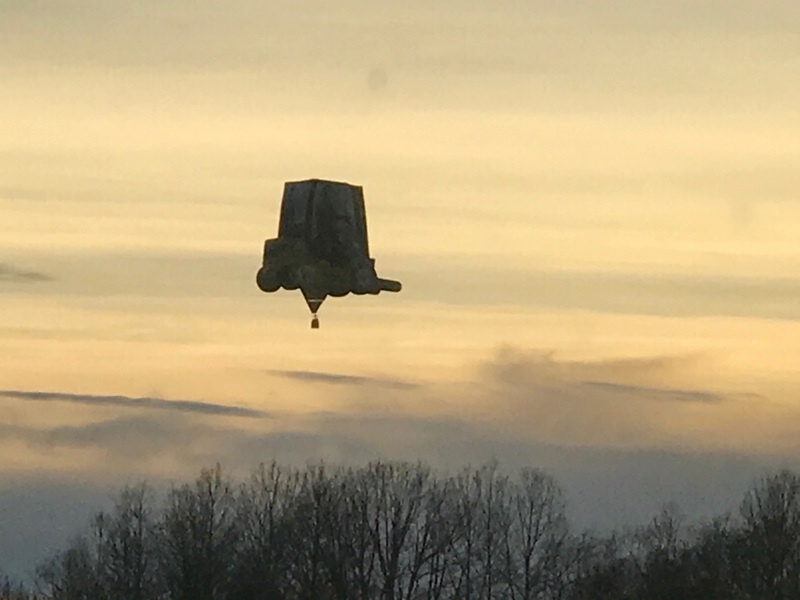 I found this hovering just outside my window. Never seen anything like it before. It was huge. A lot bigger than the other hot air balloon that I noticed a little later. There wasn't anything about it in the papers later either, but apparently there's a hot air balloon club around here.